A deer resistant native perennial to the Hudson Valley. 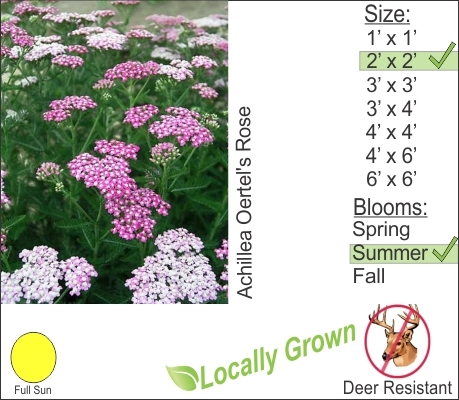 Yarrow is a tough drought resistant summer flowering perennial. It colors range in pinks and whites.